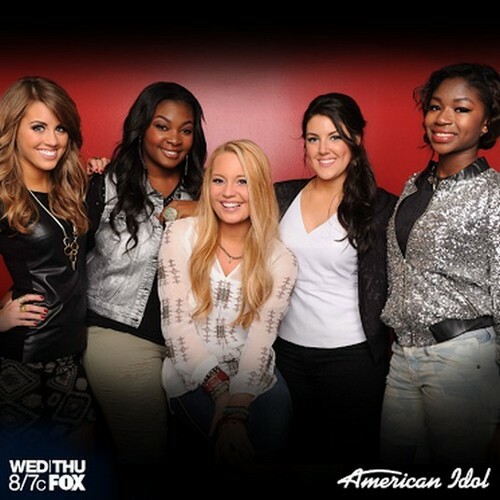 If you’ve been watching the latest season of “American Idol“, then you already know that the competition is heating up. Have you been watching the show this season? If not, you can get caught up here at our sister site Celeb Dirty Laundry. For Wednesday night’s performance episode, the top six competitors took on songs from the Bacharach/David songbook along with a song that they’d wished they’d written. As of Wednesday evening, the top competitors left in the competition were Amber Holcomb, Angie Miller, Lazaro Arbos, Janelle Arthur, Kree Harrison and Candice Glover. Unfortunately for Lazaro, his songs were off-key and he was being overpowered by the music. In the end, the judges opted not to use their only save of the season and he was eliminated from the competition. It’s no secret that the strongest voices in the competition belong to Candice and Kree, but Amber and Angie are also forces to be reckoned with. Janelle is not such a strong singer and given the feedback that she has received thus far, we’re guessing that she won’t be around much longer. It appears that even VoteForTheWorst.com might be rallying behind Janelle because her talent is not of the same caliber as the rest of the ladies on the show. Who have you been rooting for this season? Hit the comments and leave us your thoughts!